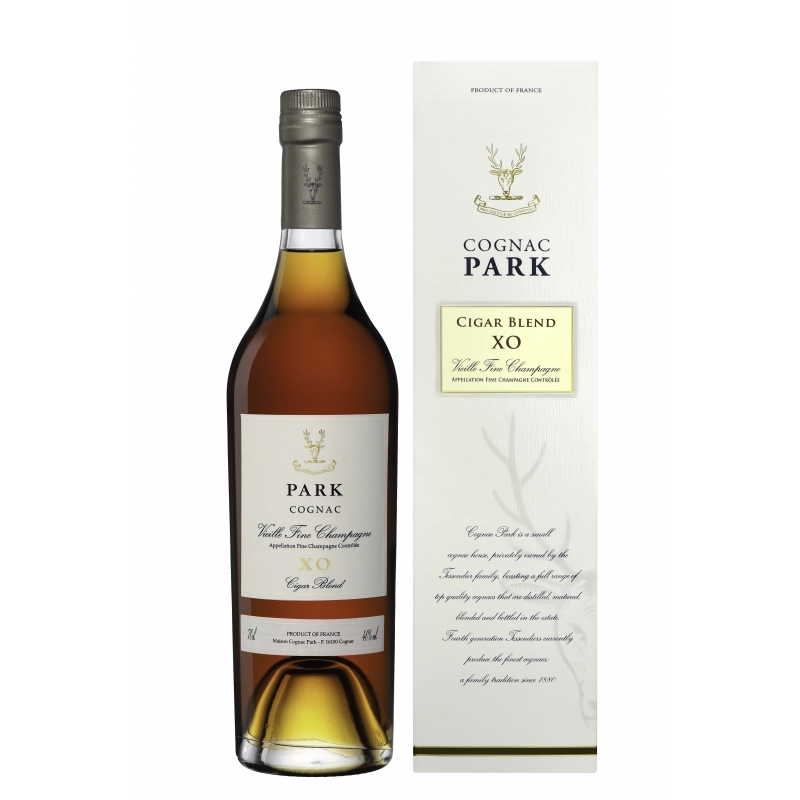 Cognac Park XO Cigar Blend Vieille Fine Champagne is made from exceptional grapes thus resulting in a cognac of outstanding quality. 60% Grande Champagne 40% Petite Champagne The appellation Fine Champagne Cognac defines that the blend comes from the two best areas of Cognac, Grande and Petite Champagne and with a minimum of 50% Grande Champagne. 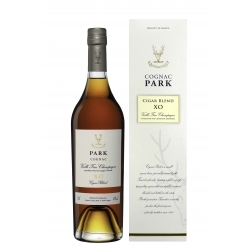 Although often cited as complementing each other, strong tobacco can overwhelm a delicate cognac and so I have deliberately made this blend fuller and richer both on the nose and palate. It is sold as ‘the cigar blend’ and is the perfect complement to accompany a fine cigar. Its deep opulent darker color glistening with blond hues is indicative of its complex yet balanced style. Commencing with the combination of light and musky scents of honey, saffron, and gingerbread and tinted with fresh cranberries and vanilla, the palate of this full-bodied cognac complements its initial aromas by bringing the flavors together into a strong harmonious finish with subtle surprises concluding with a long aftertaste.